For businesses which have large amounts of foot traffic, fast-moving employees, or environments where spills are likely, then our non-slip floor treatment is the best option for you. Our non-slip floor treatment is perfect for businesses such as hospitals, cafeterias, schools, churches, conference buildings, hotels, offices, warehouses, storage facilities, or factories. Our high-quality non-slip tile treatment coats tiles to create more traction. This treatment is the perfect, affordable choice for businesses suffering from dangerous slippery floors and prevents businesses from paying large amounts of money to install new flooring. Our range of non-slip tile treatments pairs perfectly with our traction-enhancing floor cleaner. We recommend using a regular floor cleaning plan to keep the non-slip properties at their best! 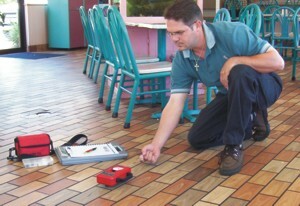 Our non-slip tile-treatments ensure your staff and guests are safe from slipping accidents and injuries. We strive to provide exceptional services and quality products at affordable prices, all sold and installed by our friendly, knowledgeable, and experienced staff. 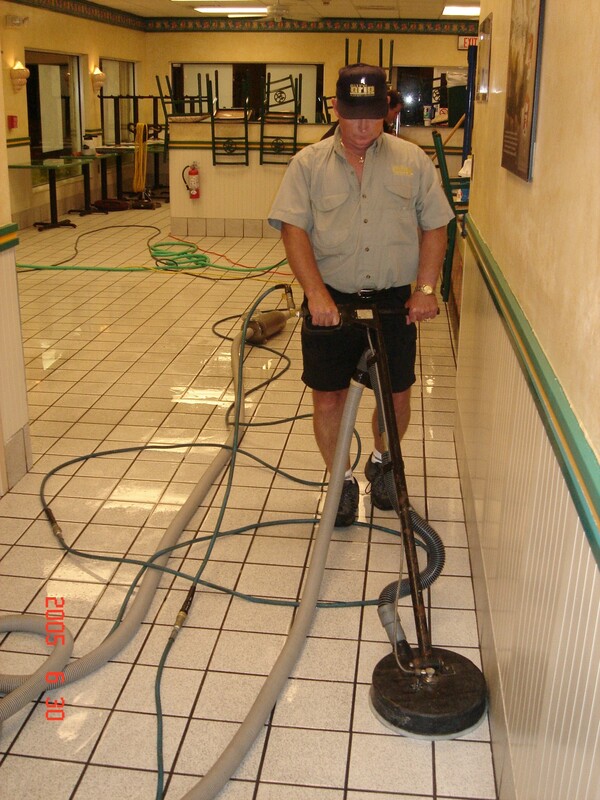 Contact us today to inquire about our non-slip tile treatments for your business. Employees who know they are walking on treacherous flooring are proven to be much less efficient because of the dangerous conditions. Both the injured employee and fellow employees who are afraid of injury move and work much more slowly on slippery floor surfaces.